 21 May 2018 marked two hundred years since Adam Sedgwick (1785-1873) became the Woodwardian Professor of Geology in Cambridge. Staff at the Sedgwick Museum have organised events and displays to celebrate this special anniversary. 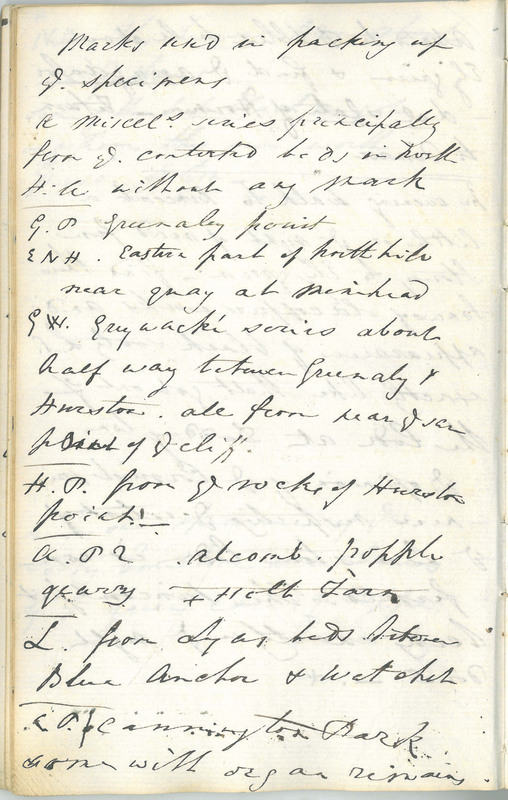 In this blog we look at the Archive – beginning with Sedgwick’s early journals. 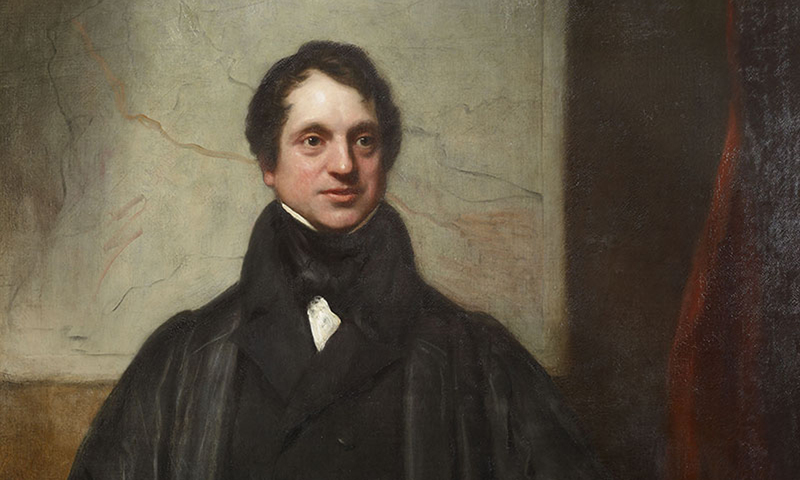 There are more than 60 journals and sketchbooks in Adam Sedgwick’s Archive. They provide the contextual information which cannot be determined from the objects Sedgwick collected. I have started to spend some time working on these ‘paper time capsules’ and getting to know Sedgwick (and his handwriting) a little better! What do the journals tell us about? 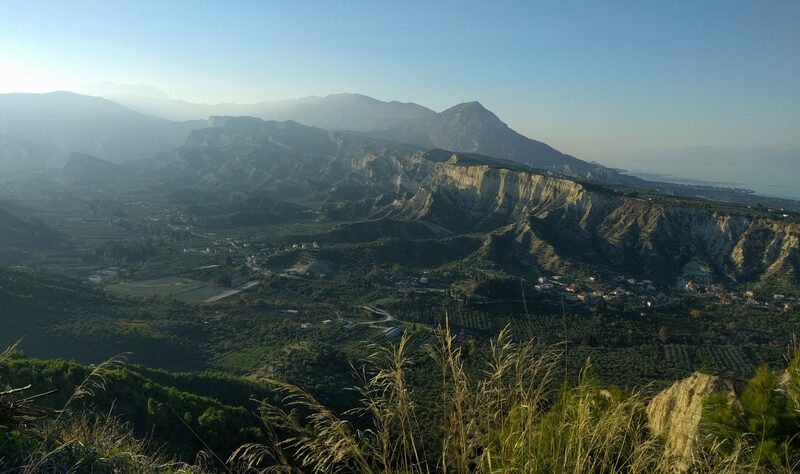 The development of Sedgwick’s geological ideas, and information about the structural geology of the areas he explored. The places Sedgwick visited, which included working copper/lead/tin mines and quarries. In one journal, he notes: ‘500 men employed and present expenses not less than £3000 per month, at present a very losing concern’. The specimens Sedgwick (or others) collected or purchased. In 1819, he noted the ‘purchase of Mr Phillips the toad’s eye tin’ (Cassiterite) and in 1831 ‘madrepores were found by Mr Darwin’ (stony coral). The people Sedgwick met: the first 3 notebooks mention at least 60 individuals. Those identified so far include White Watson (1760-1835), Sir John Forbes (1787-1861), William Rashleigh (1777-1855), and John Josias Conybeare (1779-1824). Sedgwick’s expenses. In July 1819 he spent 7 shillings and 6 pence on minerals. This would be approximately £26 today. Sedgwick’s health – he mentions being ‘fatigued’ and ‘out of spirits’, and in 1819 records that he was ‘taking rhubarb….’. This was often used to ease digestive problems. Social history. In 1818 Sedgwick ‘passed the house where [Jane Grant]….was murdered’ and in 1831 ‘(heard) of the loss of the Rothsay Castle’ [boat]. 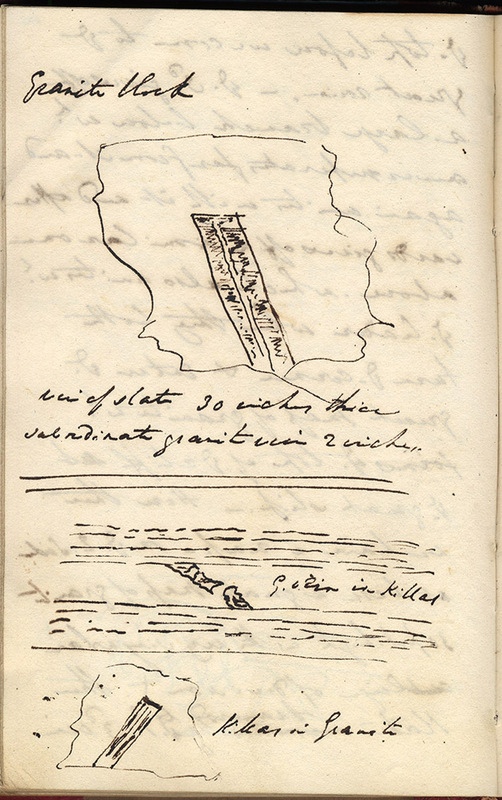 Sedgwick made ‘lists’ of the marks he made on specimens for accurate identification later on. Use of long ‘ds’ – this is a superfluous stroke, which does not form part of the letter, or depict an abbreviation. Abbreviations for specimens, for example ‘Do.’ for Dolerite, ‘L.S’ for limestone and ‘g.w’ for greywacke. Cornish names, wheal or huel for a mine, and miner’s terms such as Killas for slaty rock. Spellings vary for locations and specimens. He spells Lias (a stratigraphic group) ‘Lyas’. What else is in Sedgwick’s archive? Sedgwick’s specimen ‘catalogue’ – a collection of 1200 specimens, 1819-1820. Cambridge University Library is the repository for the correspondence of Adam Sedgwick. The life and letters of the Reverend Adam Sedgwick by John Willis Clark (1833-1910) and Professor Thomas McKenny Hughes (1832-1917) was published in 1890. Handwriting – ‘winding to the top’ – one of Sedgwick’s long ‘ds’, and shorthand for the word ‘the’. We are cataloguing Sedgwick’s archive, which will be made available on the Archives Hub. In celebration of the anniversary, a selection of documents from the archive is now available on the Museum’s website. Staff are also using Transkribus. This is a web based platform which can train a ‘handwritten text recognition’ (HTR) engine to create a model. Transcriptions of others pages may then be possible.